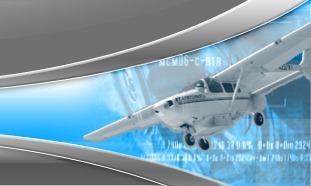 RT Aerospace was founded in 1983 to provide the aviation industry with FAA - approved engineering, design, structural modification and manufacturing services. RT Aerospace provides engineering expertise in commercial, private and military aircraft. All services are directed and supervised by founder and President Ramon L. Torres, BSAE / MBA. An FAA structural Designated Engineering Representative (DER) with over forty years of aircraft engineering and modifications/PMA experience. Today, RT Aerospace adds a second generation of aviation expertise with the addition of Ramon A. Torres, BSAM, ATP, AP, IA, who has over 15 years of aviation experience flying, maintaining and rebuilding general aviation and corporate aircraft, flying everything from DC3s to Lear 60s. RT Aerospace has continually added new and more efficient service alternatives to its customers, establishing the company as a truly unique and highly qualified service organization. We are now pleased to announce our new line of Lake LA-4-200 modifications designed to add greater accessibility to the Lake amphibian. Copyright (c) 2005 RTAerospace. All Rights Reserved.